Tim Wallace: The BIG Ten! Wow ten years, what a journey! 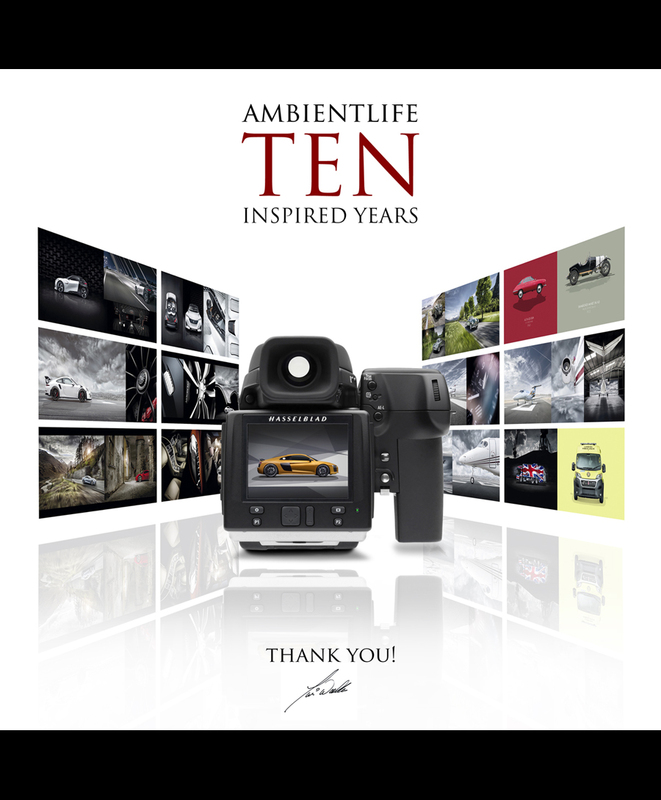 Firstly and most importantly I would like to thank all the amazing people that I have worked with over the last ten years, clients and agencies alike, all of you are part of AmbientLife and have very much played a key role in its success to date. The simple truth is that without you we would not be where we are today. So a very big thank you to you all for your support, and for all the projects that we have worked together on over the last ten years. One of the most important things that I have learned also over the years is the importance of the work / life balance. In the early years it really was shocking the number of hours that I was working, time spent both developing and improving my own technical abilities behind the camera but also with the inner workings of the business. It is very easy when you are in the first years of a new business to get totally engrossed in it and that can easily then become a way of life. It is great to push hard and be the best that you can but its also important to have time for ‘you’, and for those in your life that surround you. I am incredibly lucky to have a wonderful family and a totally amazing wife, Angela. Like me she has a ‘big career’ with lots of responsibilities in her world but we are, and always have been, very much each others rock and always will be. She is not only my wife but also my best friend and I am very lucky to have the amazing support and love that she brings to my life. 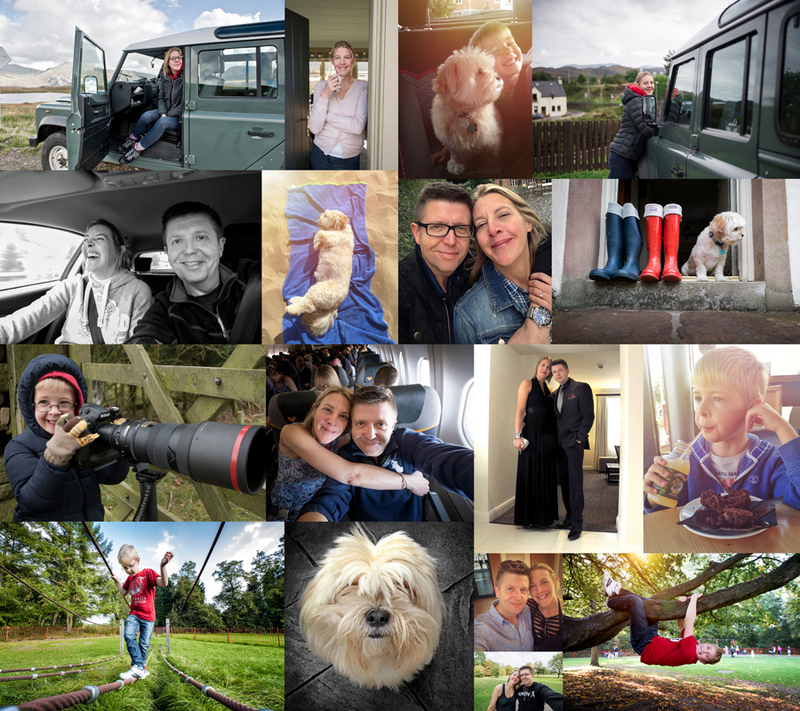 I can honestly say that my wife has a played a huge role over the last few years keeping my path uncluttered and my head straight when things all get manic. Over 25 years ago we both sat enjoying a cheeky glass or two of wine and I spoke to her about a dream I had to one day be a successful professional photographer, I even had a name in mind back then, AmbientLife… Angela was as supportive then as she is now in my dreams and without her things would I know have been very different. We both were chasing up the career ladder then in the world of blue chips so my dreams got somewhat put on hold. It was many years later when I was at Virgin Media in the role of Senior Operations Manager that my dream would come back to the foreground when my whole operation faced complete relocation. Myself and over 115 colleagues and managers made our decisions on relocation or redundancy and I took the latter. I decided that if i really wanted to achieve this then now was the time to take that leap and push forward with my own business. There was the point 10 years ago the I started embarking on the first stages of building my new business ’AmbientLife’. It would be fair and honest to say that it was both scary and exciting all at the same time. Like any new business venture there was an actual plan! lol, indeed it writing that business plan was probably one of the longest 5 days of my life, it is incredibly scary to stare at a blank sheet of paper but I was confident in my mind that I could get the idea’s in my head down onto that paper and plan a route through the early years to drive my idea’s into reality. I look back now and I am glad that I made the choice to go my own way and take my own path, I did what many do at the early planning stage and researched the markets, the current players and the key points that I wanted to use as driving factors in the growth and success of my own venture. I spoke to some established professionals out there and was actually told that it was unlikely that I would get to any level of success. The key points that were highlighted to me then were that I was too old to start such a new career path, I didn’t live in London, and my current work examples were too ‘arty’ and had no place in the market commercially. I took this points on board and decided that rather than change my own plans and beliefs I would strive forward and dare to be different. 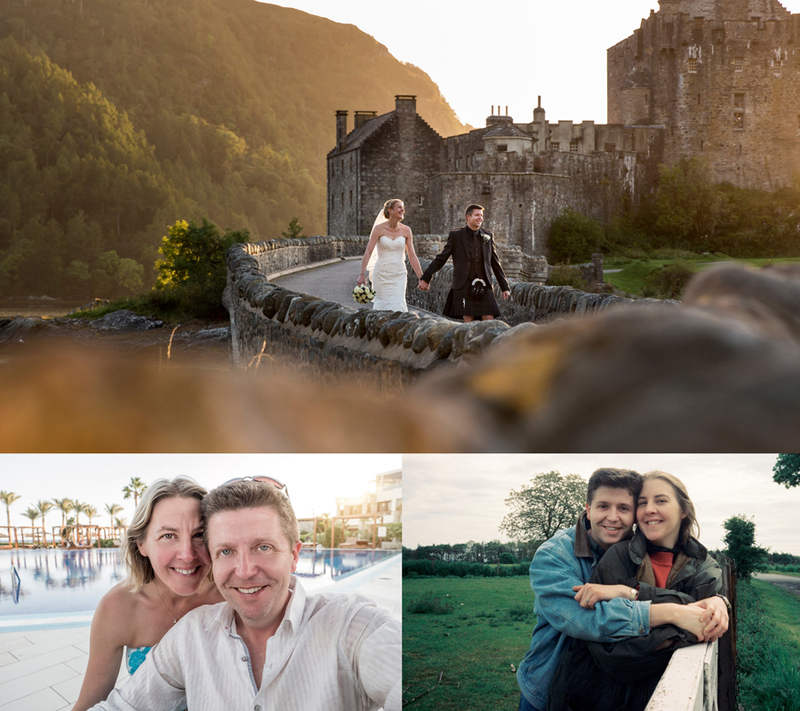 One factor that was most definitely in my favour was my years of background working at a senior management level within the media sector, having that experience and knowledge behind me enabled me to plan my business as a ‘business’ and not purely based on the fact that I was aiming to produce great photography. 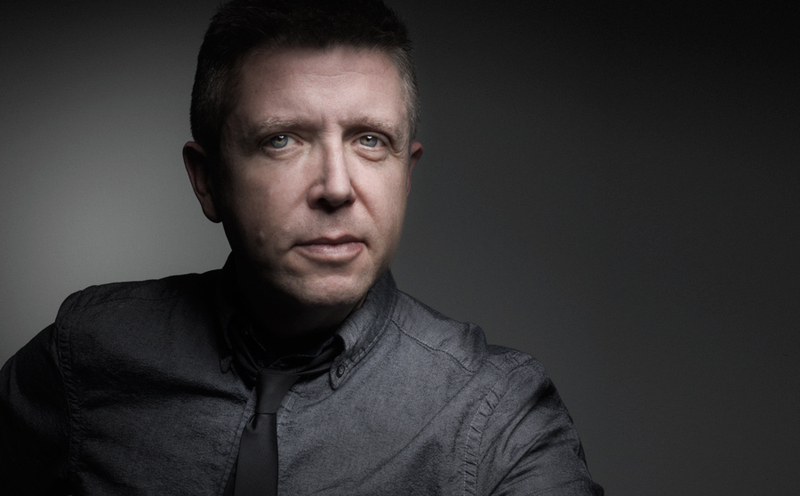 I still firmly believe today that success is 70% business and 30% creative, its not enough to just be out there shooting great work if you can not find a market for that, or if that work is never seen by the right people who are indeed your potential clients of the future. My plans were therefore very much based on the business side of building my company from the ground up with a solid foundation that could carry it forward. Business really is all about having the right conversation with the right person at the right time, the tricky part is knowing that and being able to identify that. My initial goals were to bring my revenue up to my target levels within the first 2 years with the first years profits being used to build the infrastructure of the business, equipment and such like. I took my own path to market and even though it was unconventional in many ways it was the right path for me because again I was building my business and structure from the point of view of the markets and not shall we say a more common ‘creative’ path. Ten years in I can honestly say its been a rollercoaster, like any business, there have been amazing times and there have been hard times, wonderful moments and sleepless nights. Some people have said over the years to me that I have been lucky, in all honesty I don’t really believe in luck, I believe in hard work and persistence. Nothing in this life that has any real value longterm comes easy, you need to be prepared to work hard even though at times hard work is not enough on its own. There is of course no point working hard on a course if that is not taking you anywhere so there is also the key elements of being able to adapt when required, evolve and most of all when failure hits you need to be prepared to learn from that, use it to your benefit, get back on your feet and push forward again. I am passionate about my business, as I am passionate about my work and also my clients because all these all drive me forward to do the very best that I can and succeed. I have picked up a few pieces of glass along the way, mainly in the first 5 years where I was fortunate to have won awards such as ‘Commercial Photographer of the Year’ and ‘Motor Industry Photographer of the Year’, a few years back I even won ‘Landscape Photographer of the Year’, that last one was quite funny in many ways because clearly I am not a landscape photographer. The winning image was one that I shot on the streets of San Francisco a few years back at dawn. 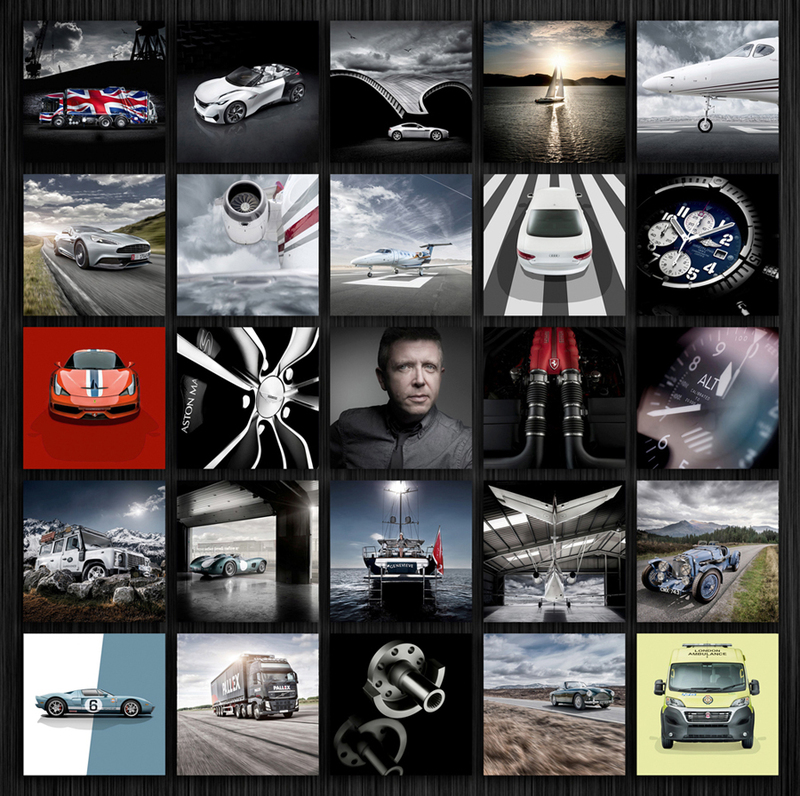 I remember it being mentioned in a magazine interview a few months later and the comment was made that really in many ways ‘car photographers’ on location are really just landscape photographers who pop a car in frame last minute, I can’t really argue with that one… Awards are great and I am humbled even now to see those sat in the office but I learned a few years back that the greatest award you can get really is knowing yourself that you ‘knocked it out of the park’ for your client. What really, and only matters, is that its a ‘winner’ for them at that moment. Once you have done that its time to move on and go achieve that again with your next shoot. I strongly believe that one of the biggest strengths in the commercial arena is to be known as a professional person that can consistently produce a high quality end product every time. Your clients are your future and also your reputation so that is where the real reward is. I have met some amazing people of the years and seen and experienced some amazing things. It has been a fantastic journey and one that I would not change in any way at all. Over the last 18 months I have been working to evolve and adapt my business to changes that have recently affected some of the market sectors that I work in and in some ways its been a little like staring at that blank sheet of paper again. However I firmly believe that all good businesses should embrace evolution and change through the course of their life and its been an exciting time. Sure there are challenges, but these are good, these allow us to look deeply at what we are doing and the direction we are going, making an alteration to your course slightly is a good thing and it can also teach you a lot about yourself and your business along the way. 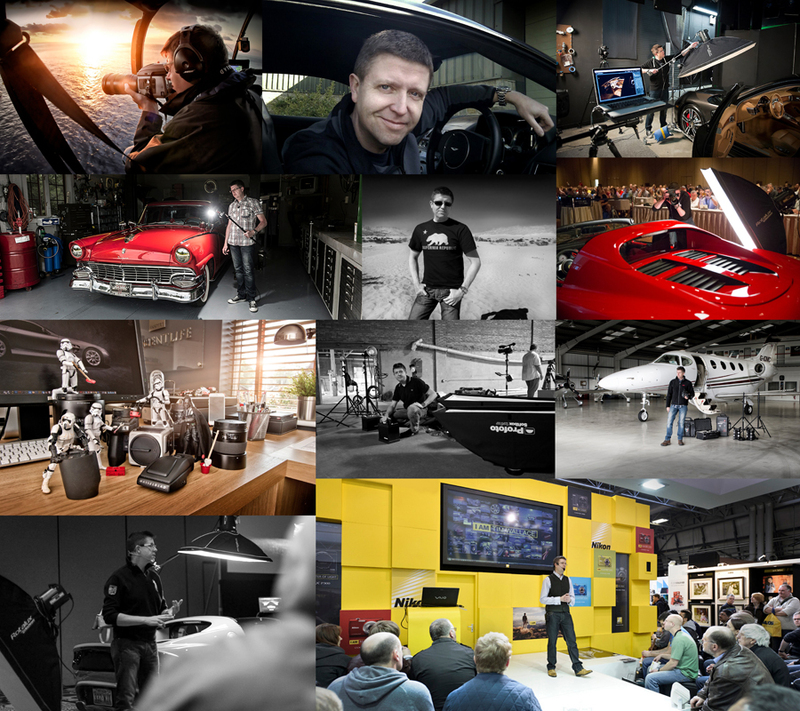 Over the years I have been honoured to be asked to give seminars and talks about both commercial photography and also business across the World, from the talks that I regularly give in the US to the Far East and Europe, and its something that I plan to very much continue with in the years to come. I am passionate about what I do but that also means that I am passionate about our industry as a whole so I get huge satisfaction from that and hope that it helps others to make their own choices on the path ahead that they want to take and perhaps help others understand a little more about how to draw that initial roadmap. Business is good, in fact business is great actually. I am continuing to build on my reputation with existing clients as well and develop and nurture new relationships. From my own perspective my business feels more solid than it ever has and I have all the opportunities to continue to build on this platform. From a creative point of view also I feel great, following the slight shift into more commercial transport related work I feel that my own experiences and knowledge creatively has growth possibly more in the last 2 years than it ever has. Its a good place to be but as always there is no time to sit back because the machine moves on and with it so do my idea’s and plans. The future could be many things, all I know is that my future is out there shooting, because that is where amazing things can happen.